The world has watched the fate of Paris’ Notre Dame Cathedral with anxiety after a catastrophic fire broke out around 6.30pm on Monday after closing time, destroying its wooden frame and collapsing the roof. Pope Francis issued his assurance of prayers for the firefighters who saved the cathedral shell and its two bell towers, and rescued priceless relics and artworks, though it’s not clear at this stage how many have been destroyed or damaged. It’s survived two devastating World Wars and the French Revolution. Here are some facts about this grand dame of the Catholic Church. 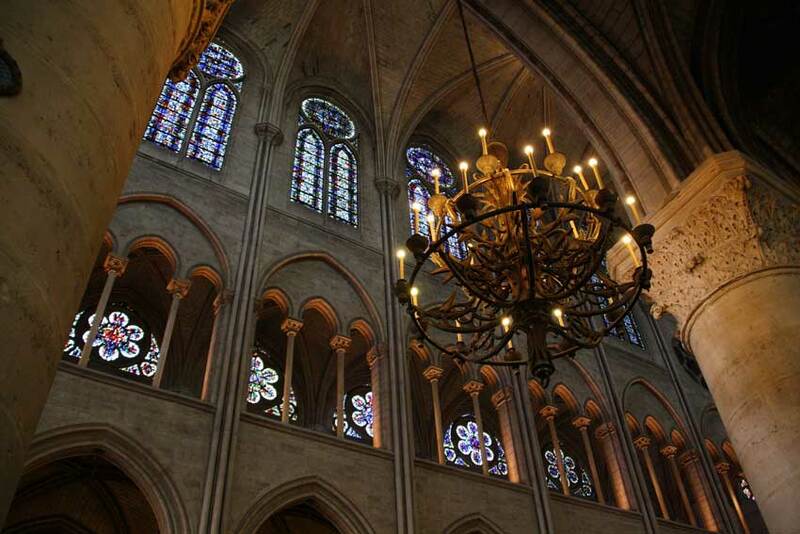 The cathedral’s proper name is Notre Dame de Paris, Our Lady of Paris, and it is the seat of the archbishop of Paris. Notre Dame was built on the Île de la Cité, an island in the middle of the Seine river and marks the exact geograpical centre of the city. Construction began in 1163 and the cathedral was finally completed 182 years later in 1345. The world heritage-listed cathedral is considered a treasure of medieval Gothic architecture. The cathedral’s most famous relic, the Holy Crown of Thorns, was apparently rescued during yesterday’s blaze. The cathedral also contains a piece of the true cross and one of the nails used in the crucifixion, along with relics of many French saints. The warrier-saint who helped defend France from the English and who was later burned at the stake in 1909 was beatified in the cathedral by Pope Pius X.
Henry VI of England was made king of France inside Notre-Dame in 1431, while Napoleon Bonaparte was crowned emperor there in 1804. Victor Hugo’s 1831 novel, The Hunchback of Notre Dame, was set within the cathedral and described its condition at the time of neglect and disrepair. The book’s fame helped to prompt important renovations from 1844 to 1864. 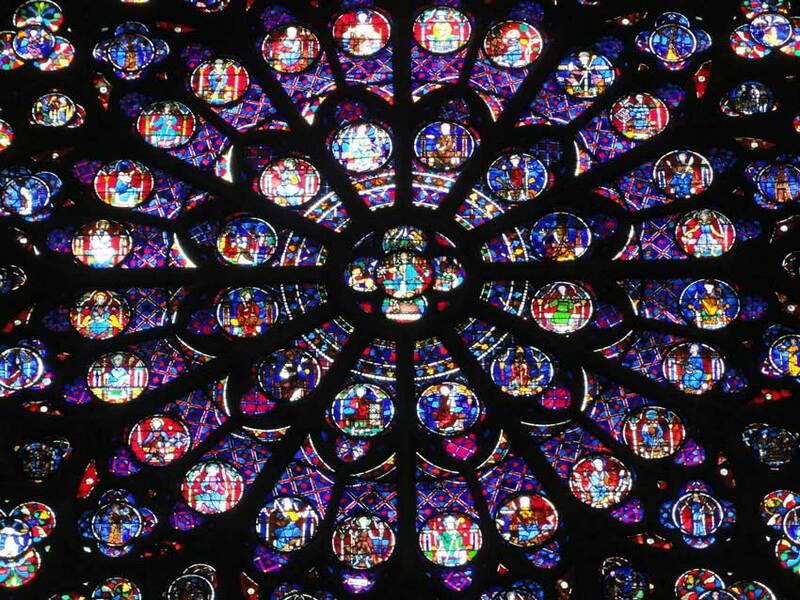 The Cathedral of Notre-Dame has more visitors than anywhere else in Europe, with up to 13 million worshippers and tourists each year, or 35,000 each day. That beats Disneyland Paris by 1 visitors million a year. The French government owns all churches in the country built before 1905. The Archdiocese of Paris is permitted to use the building for free and is responsible for the upkeep of the cathedral and its staffing requirements. Towering against the Paris skyline are its two 13th-century bell towers. The largest bell, located in the south tower, weighs 13 tons is named ‘Emmanuel’, ‘God is with us’. The other main bells are named Marie, Gabriel, Anne-Geneviève, Denis, Marcel, Etienne, Benoît-Joseph, Maurice, and Jean-Marie. Among a host of treasured art and artifacts in the cathedral are its three gorgeous rose windows and The Visitation, a 1716 painting by Jean Jouvenet depicting the Virgin Mary and her cousin Elizabeth. Both are considered masterpieces of Christianity, while its famous Great Organ, dating from 1401, is the largest organ in France.